This project demonstrates landscape architecture’s extraordinary power to go beyond the pictorial – to unite the ecological, sensory, and spatial characteristics of a site and create a lasting place of integrity and meaning. In this Sonoran desert setting, the site was transformed into one of conservation and discovery; and reconnected integrally to its local and regional context. 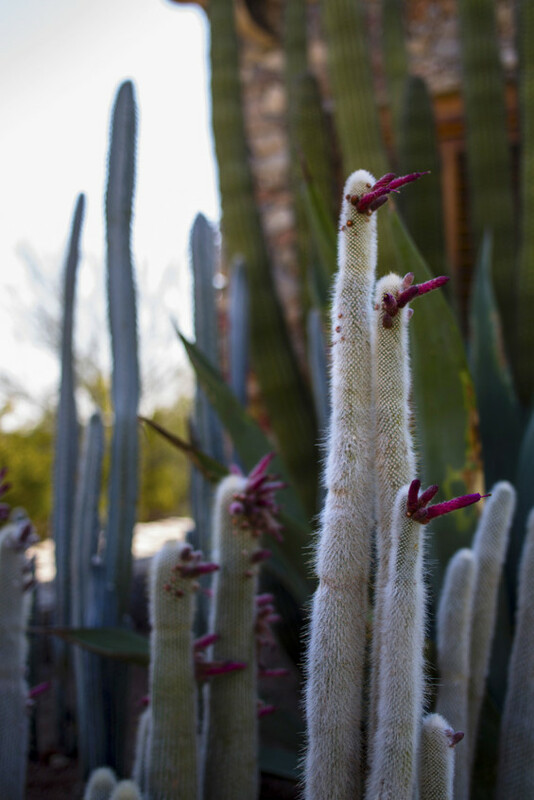 The gardens showcase and celebrate desert morphology and the astoundingly beautiful genus that thrive in the harsh arid environment. 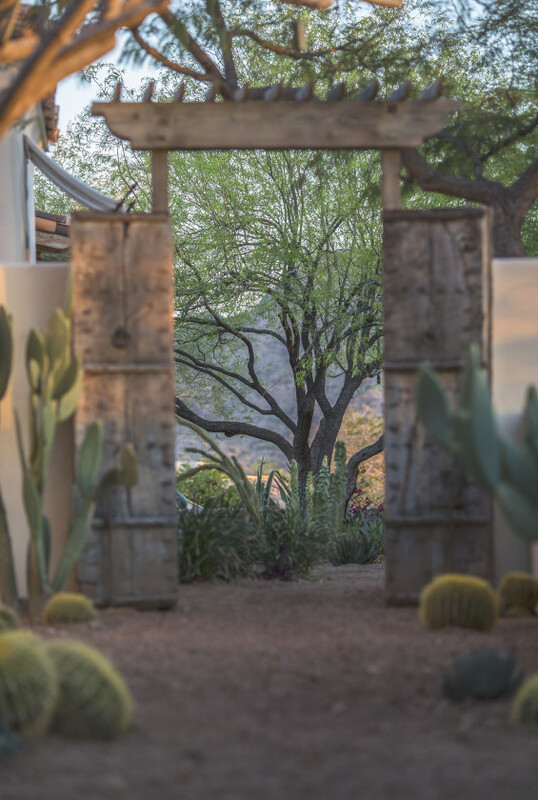 Furthermore, the collection of gardens presents an immersive learning experience, which connects and engages the owner and their visitors with the seasons and life cycle of the desert, creating a lasting stewardship legacy for this property. 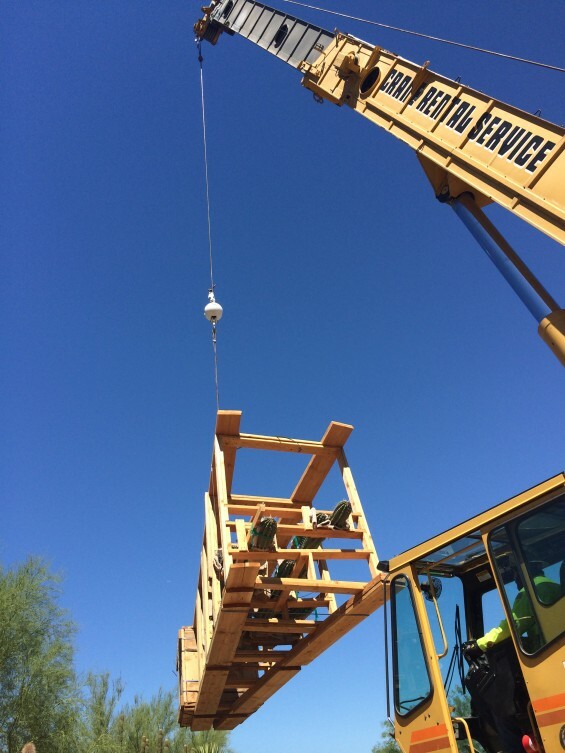 The project is located on a 7-acre property at the foot Camelback Mountain, a prominent landmark linking Arizona cities Phoenix, Paradise Valley and Scottsdale. The mountain, resembling the hump and head of a camel is composed of a geologic unconformity between two separate rock formations of granite and red sedimentary sandstone. The lot has a cross slope of 50’ in the north-south direction and is set within the desert scrub plant community. Residential landscapes in this desirable neighborhood of Paradise Valley are typically surrounded by a tall, opaque barrier between the house and the street with thick non-native hedging bounding all sides, and an interior of manicured, water intensive shrubs and lawns in the Mediterranean style. The existing landscape on this property was no exception. 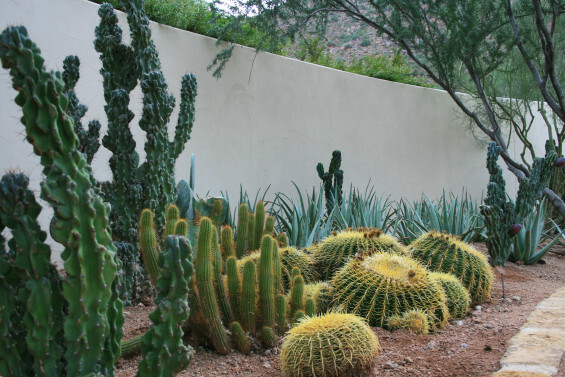 The client entertains regularly and uses their home and property for fundraising functions, and requested a landscape that is meaningful, reflective of their passion and advocacy for desert plant life, minimizes water consumption, and enhanced amenities. 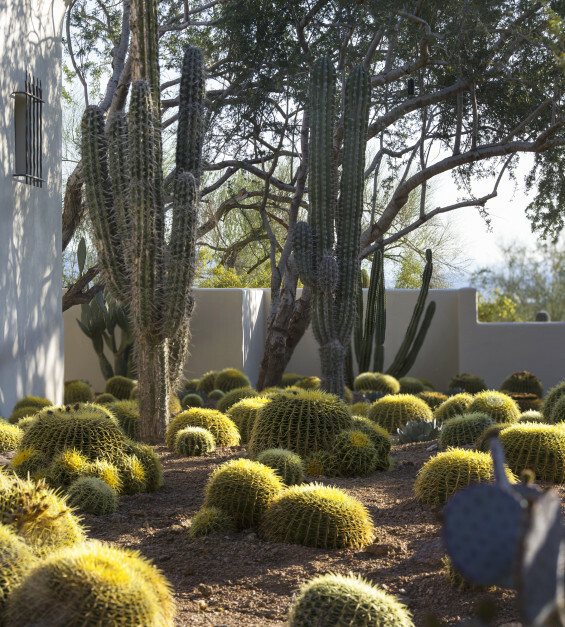 As a result, the recently completed landscape renovation is a spectacular celebration of beautiful and awe-inspiring desert plant life. Each of the collection of garden galleries emanates a distinct landscape essence ranging from the wild and wonderful to the colorful and cooling. Each turn on the pathway presents a new focal point, whether coming upon a majestic Candelabra cactus, a worn garden gate framing a gallery of Agaves, the twisted form of an Ironwood, a field of Yuccas or Golden Barrels or the rich texture of rock walls contrasted with sculptural cacti or draping Bougainvillea. 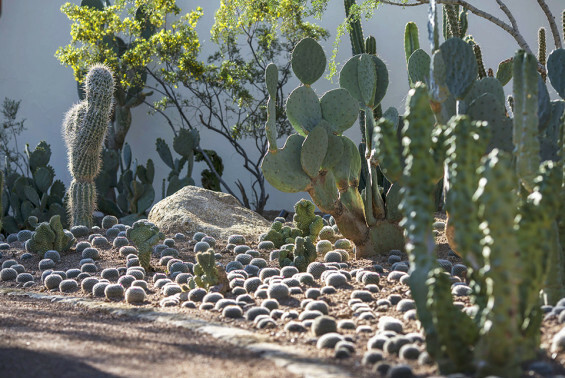 Individually, the diverse gardens encase a rich interplay of like or complimentary plant species from arid regions around the world; collectively, the gardens provide a year-round show of marvel cascading through the landscape. Throughout the seasons, the garden comes alive through the of unique collections of diverse plants species, from the large clusters of showy chartreuse flowers on the Gopher Plant, enormous white blooms adorning the Night Blooming Cereus, brilliant yellow hues of the Palo Verde trees, to the bright red tubular flowers producing abundant nectar for the birds and bees on the Silver Torch Cactus. Agaves shoot their massive flower stalks twenty or more feet high – their last hurrah at the end of the plant’s life cycle. The year ends in a crescendo of color in the Aloe garden, when one after another of the dozens of species bloom for months on end. 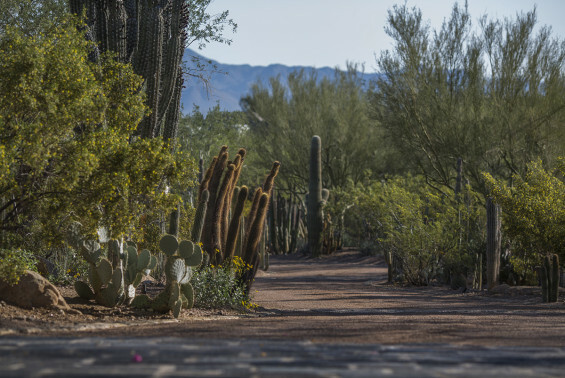 The clients now enjoy watching quail scurry across the path, birds nesting in the Saguaro, and rabbits foraging for food. The perimeter of the property is largely populated by species native to the Sonoran desert and were restored, re-vegetated and enhanced to seamlessly blend into the surrounding flora of Camelback Mountain. Once inside the gates, a plethora of Golden Barrels tumble around a dozen giant Candelabra, spilling into the Freaks ‘N Geeks Garden. This garden was designed for discovery and delight and contains many of the property’s bizarre and rare specimens. Hundreds of Pincushion cacti twinkle with white bristles and minute magenta blooms in December, while the Old Man cacti critique from afar. The sound of water spilling from the new water feature in the Aloe Garden is subtly perceptible from the guest parking, inviting visitors to pause, listen and enjoy the mirrored reflection of the tree and sky. Nearly every room in the house opens to an adjacent garden, with specimens interspersed and grouped to provide a dramatic focal point from within the house. Pocketed sliding glass doors open generously to bring the gardens into the house and make indistinct the line between indoor and outdoor. The new stone fire pit on the south patio was sited so that the family could enjoy the majestic sunsets and overlook the terraced gardens below. A portion of the upper lawn was removed and replaced with low water use plants. The lower lawn with its solar heated pool, is primarily used for special events, and is surrounded 360 degrees by the garden galleries. Mature Mesquite and Ironwood trees with their twisted, branching have been preserved, becoming a powerful backdrop for the gardens, providing shade, habitat and a constant vocabulary throughout the property. 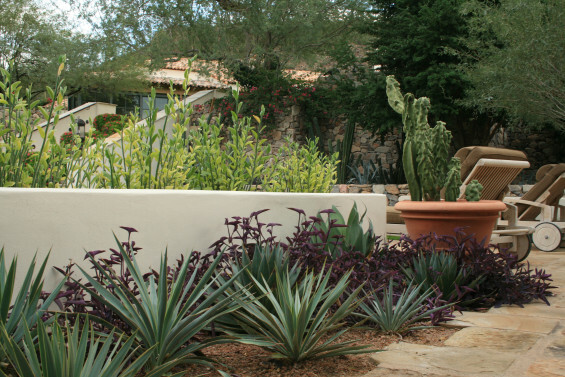 The majority of the new gardens can thrive on rainwater alone after establishment. The gardens will require no fertilizer, little to no pruning, and conversely provide a rich and lively habitat for a multitude of wildlife. 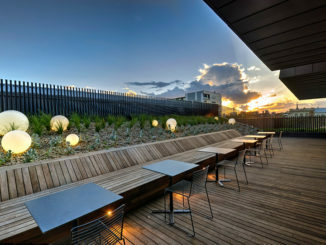 The landscape architect sensibly re-used and relocated plant material to appropriate microclimates throughout the site. 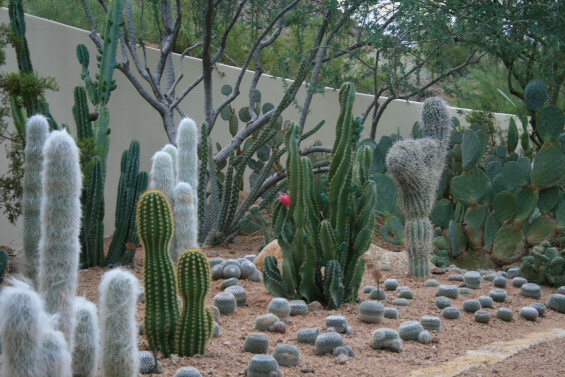 Dozens of mature, cactus specimens that would otherwise have been destroyed from other sites were salvaged and positioned on-site. 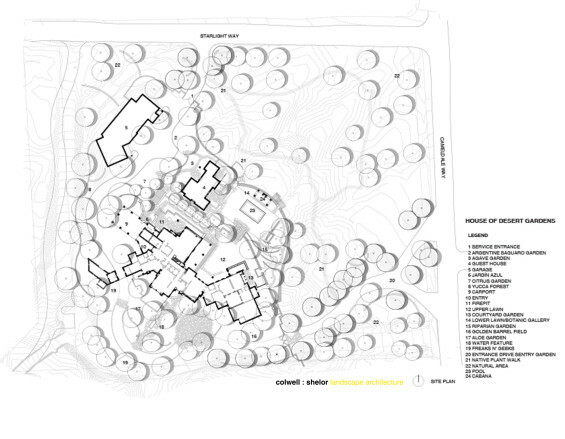 The landscape architects took an experiential approach to design – all plants were custom sited to take advantage of each plant’s special uniqueness, and thus the design expresses a judicious balance of intervention and restoration, of reshaped space, redirected views and ultimately an abundant interplay between flora, light and shadow. Custom botanical markers were designed and fabricated to honor the client’s familial history, and serve to educate. 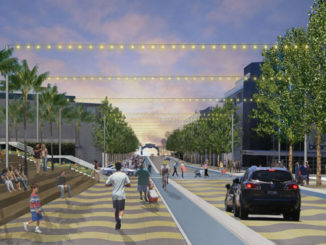 It was expressly the landscape architects hope to set a new paradigm concerning the prevailing landscape customs in the neighborhood; that this project can be evidence for how a xeric landscape can be more meaningful, sustainable, sensory, and of course more spectacular, whilst positively influencing landscape practices throughout the Valley.